Generic, one-size-fits-all emails don't cut it anymore. People expect more. They want messages that are relevant– ones that cater to their interests, consider their location, and offer them products and promotions that make sense for them. That’s why brands are creating and sending personalized emails. Research shows personalized emails generate six times higher revenue than non-personalized emails. To help marketers create and send personalized emails that work, here's a checklist to ensure your next campaign gets the results you want. You have to understand your audience in order to send personalized emails that get results. The subscribers on your email lists are different people, and you have to define how they’re different in order to personalize content. For instance, if you run a restaurant, you might cater to families looking for a fast meal and college students that want to pop in for quick appetizers. While both groups love your restaurant, they represent very different customer segments. When you want to learn about something, you research it, right? That's exactly what you have to do to understand your audience. Start gathering research on your customers. You want to know everything from their age to weekend hobbies. To get this kind of information, start collecting a few pieces with every interaction. For instance, if a subscriber downloads a white paper, ask for their name, email, and job title or ask customers to build a profile as they make a purchase. See how Kulture Konnect helped Jimmy's Famous American Tavern to email success! Download this case study here. As you collect information, start building customer personas. Every detail that you collect should be added to the persona to create a detailed snapshot of each customer group. Here's what a customer persona can look like. Note the detail that this kind of persona provides. You can then use the personas to segment your contacts and create tailored content for each. You can send personalized emails based on the actions of customers. For instance, you can send subscribers a list of recommended products that are based on past purchases, or send a coupon that's good toward a product that a subscriber viewed on your website. Looking for a unique personalization method? Try sending emails that have personalized images. Let's say you're inviting local subscribers to an event in San Diego. To personalize the email, you can add an image of the city that your audience recognizes. You could also add a subscriber's name to an image to grab attention. The idea is to use images in a way that's more personal. Weather is a great way to personalize emails, especially if your product is enhanced by what’s happening outside. It's a simple addition that adds value and personalization to an email. Travel and hospitality companies use this strategy to promote the difference between the rainy weather in the subscriber’s location vs. the sunny and warm weather at a holiday destination. 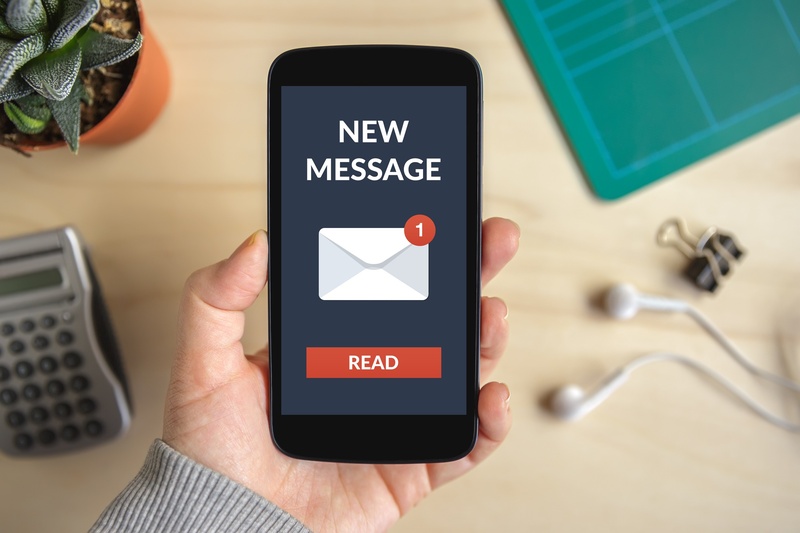 Segmenting your contacts by location gives you the chance to create area-specific messages. For instance, you can send subscribers in St. Louis an invitation to a grand opening of a new restaurant. Emails like this have a more local, hometown feel and provide the kind of relevant information that subscribers are looking for. In addition to sending the types of emails listed above, you can also personalize smaller components of your email. For instance, you can personalize the from name, add a subscriber's name to a subject line or add the subscriber's job title in the email copy. Double check the personalized fields that you've added to ensure they make sense in the context that you used them. If you're adding a job title to the email body, for instance, does it make sense? If it's awkward to read, make changes. You should set up default text in case the personalized fields that you want filled in aren't available. Let's say you want to include subscribers first and last name but there are a handful of contacts that you don't have a last name for, you can set up "default text" so the subject line still makes sense without it. Make sure the fonts that you select for personalized fields are the same as the text you use in the rest of the email so it doesn't look out of place. Personalized emails get better response rates, but you'll still need to show subscribers what to do next. Make sure your call to action is noticeable and clear. Opt for a call to action button that's a vibrant color to draw attention to it. Before sending personalized emails, send a test to your inbox to make sure data fields reflect the content you want. For instance, if you want the subscriber's first name in the subject line, the test email should show your first name. If you see something like |FNAME| instead, something's not right. You'll need to fix the error before sending the email to your contacts. Conducting A/B split tests is always helpful to see what kind of emails subscribers respond to. You can test different personalization components to see which field garners the best results. Email still remains the top option for business communication. Contact us today at (951) 479-5411 to get details on our email services.